NEGOTIATING narrow gravel paths carved from the sides of mountains while dodging waiting armed bandits in far away countries can hardly compare to a Queensland road trip on the Bruce Hwy. But a new interactive map, by British company Driving Experiences, has named the Bruce Highway among the 22 of the world's most deadly highways. The road's "fear factor" was rated four out of 10. The most dangerous elements were of the Bruce Hwy illegal and dangerous overtaking and the road's length. But any challenges posed by the 1500km highway pale into insignificance compared with many of the other roads on the list. The North Yungas Road in Bolivia gets a 10 out of 10 fear factor. Known as the Road of Death, it was said to be the most dangerous road in the world. It has uneven tracks sometimes only three metres wide, with sheer drops of up to 1000 metres. "Each year, hundreds of deaths are caused by vehicles plunging off the road while trying risky overtaking manoeuvres," the report said. The Br-116 road in Brazil, nicknamed the Highway of Death, is responsible for thousands of deaths each year. "It's not just the weather and road conditions that make a journey on the Br-116 so treacherous - police patrols are scarce and drivers are often at risk of being attacked by gangs and armed bandits," the report said. Queensland's peak motoring body RACQ rated half of the Bruce Hwy at just two stars for safety in its most recent AusRap Staring rating report. The report included plans to lift the Bruce to a minimum of three stars at a cost of $1.47 billion. RACQ senior traffic and safety engineer Greg Miszkowycz said while it was unfair to lump the Bruce with the world's most dangerous roads, there was still plenty of work to do to bring the state's highway up to scratch. "The Bruce Hwy roadside is not forgiving on driver error," Mr Miszkowycz said. "There are certainly roads across the world that are much worse, but the Bruce is still risky for drivers. "There is a lot of trucks traffic, and it is an undivided highway for the most part that carries high volumes of traffic so there is a high risk of head on crashes. 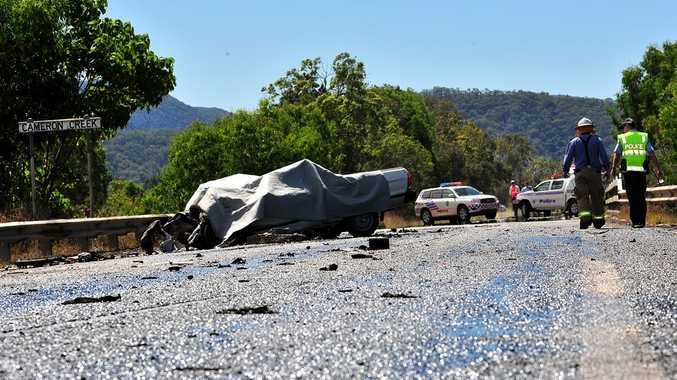 "The Sunshine Coast has different issues because this section of the Bruce does have dual lane dividing which reduces the risk of a head on crash, but it does have capacity issues the roadsides are not as safe as they could be." Member for Fisher Mal Brough said it would cost an estimated $2 billion to create an extra two lanes on the Bruce Hwy from Caboolture to the Sunshine Coast. Pan-American Highway - Alaska, U.S.
James Dalton Highway - Alaska, U.S.
U.S. Route 431 - Alabama, U.S.
Is it the 'most dangerous section' of the Bruce Hwy? Is it time to demand safer highways?